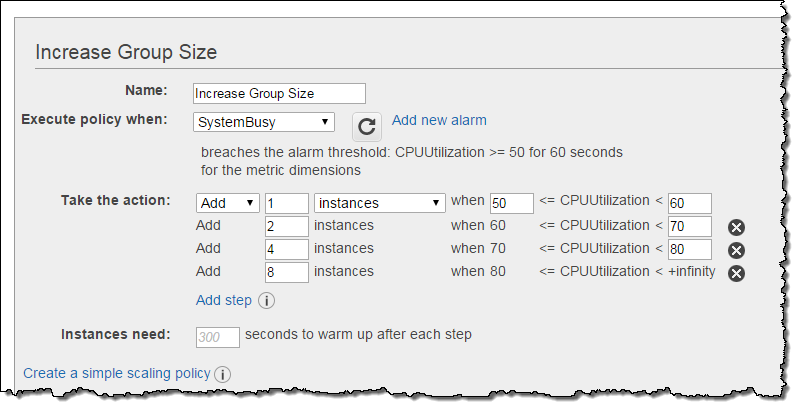 Today AWS announced the introduction of new auto scaling policies with steps. This is a significant change as no longer does auto scaling need to be a single step response to a CloudWatch alarm. You can now have many steps enabling small changes in capacity to be made in response to small changes in demand and likewise for large changes. The result is highly reactive and smooth response to demand. We have updated our documentation "Lab Notes - Highly Available and Fault Tolerant Architecture for Web Applications inside a VPC" to v1.02 to reflect this change. Please make sure you understand this before sitting the AWS certification exam.